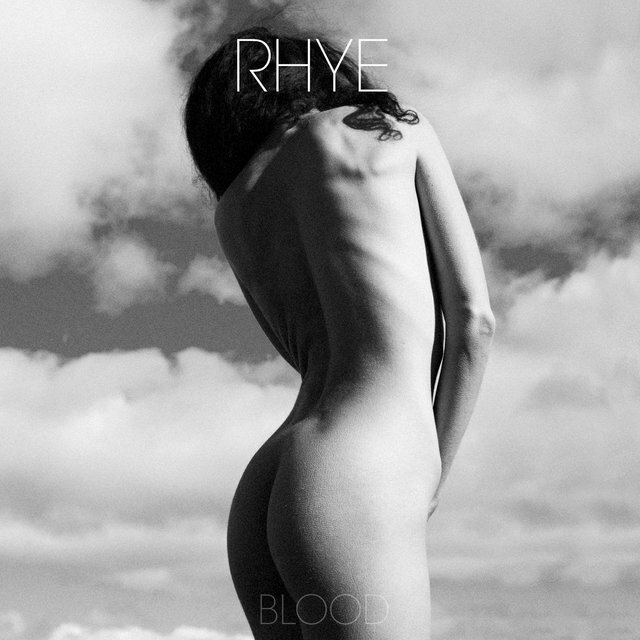 When Rhye released their debut album Woman in 2013, they took the world by storm, much to their own surprise. The soft piano and organic drumming, but most of all this smooth, sensual voice, often compared to Sade, hit right in the hearts of listeners and music critics. Was it a male or female voice?, many were wondering. Rhye had kept their identities hidden for quite a while. Today we know Woman was recorded by Michael Milosh from Canada and Robin Hannibal from Denmark, also known from the duo Quadron. They had met in Berlin and then reconvened in L.A. After Robin left the duo, Mike gathered some live musicians and began touring with Woman, moving from small venues to bigger and bigger stages and festivals. Now he is out with his new record Blood. We got on the phone to ask him some pressing questions about it. Hi Mike, how and where are you? I’m fine, thanks. I’m at the airport in London waiting for my flight to New York. Your debut Woman was a bedroom recording and very intimate. How was it to present it to so many people in the end? I mean, number one, I’ve obviously been very lucky to be able to do that. Two, I had to change the set a lot. So the live shows actually evolved a lot. Because as you play bigger and bigger venues and festivals, you start thinking OK, we need some bigger moments. It can’t just be really quaint and gentle music music all the time. You lose the audience at a festival, if you’re competing with loud other bands. I had to really evolve it and that influenced the way I looked at the recording of the next record. So we’d be able to do it live and also in the setting of a festival.There is a lot more dynamic on the new record. How do you remember your time in Berlin? I love Berlin, it’s an amazing city. I lived there for about two and a half years in 2010/2011. I keep going back a lot. Last summer I even rented an apartment there for two months, to use as a base while I was playing shows around Europe. It is one of my favourite cities in Europe in a lot of ways. I try to go back as often as possible. Why did your duo partner Robin leave before you went on tour with Woman? There are two reasons. One is, he had a different record deal with is band Quadron. It was an exclusive deal, so he wasn’t able to be involved with Rhye anymore. The other reason is that he doesn’t actually play an instrument that he can play live on stage. For the band I needed live musicians, it’s a completely different skill set. How come that shortly after Woman you released the album Jetlag as Milosh. Where did those songs come from? Everything comes from my life in general. I’m always working on music that is connected to something that has happened in my life. I had actually done the Jetlag record at the same time as the Rhye record, a lot of it before, but I had to hold it back to release the Rhye record. And then once I released the Rhye record on a major label, I wanted to make Jetlag just a really small independent release. How do you differentiate what becomes Rhye music and what is released as Milosh? Was it clear from the start? 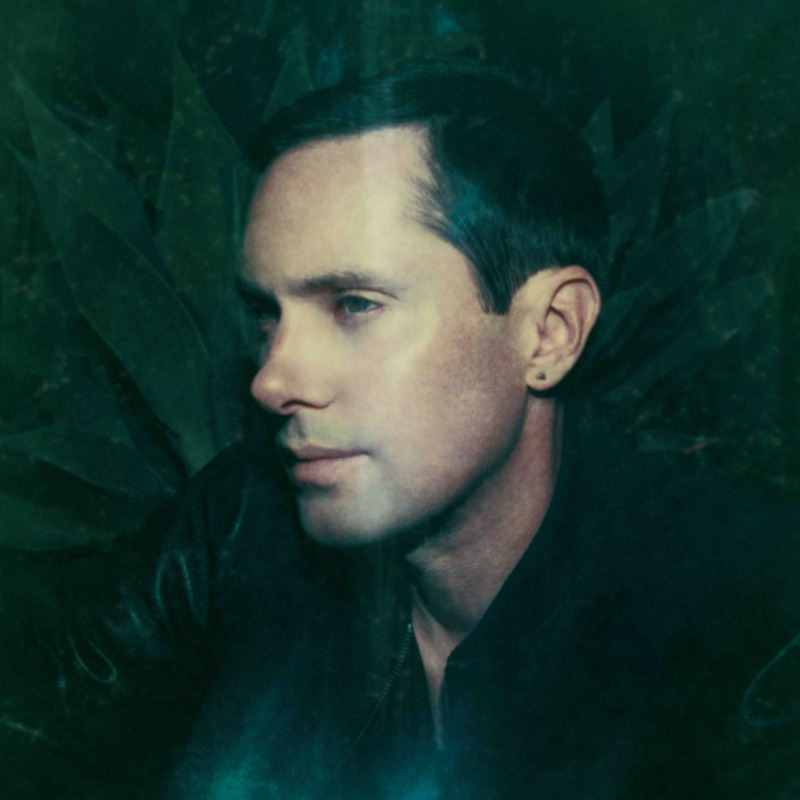 For me, Rhye is much more live recording in the studio, especially on the new album. It’s all live drums, live piano. Milosh is much more electronic. I get to do a lot of editing and tweaking things in the computer, it’s a bit more experimental. When I’m recording Rhye, I’m doing more traditional songwriting. 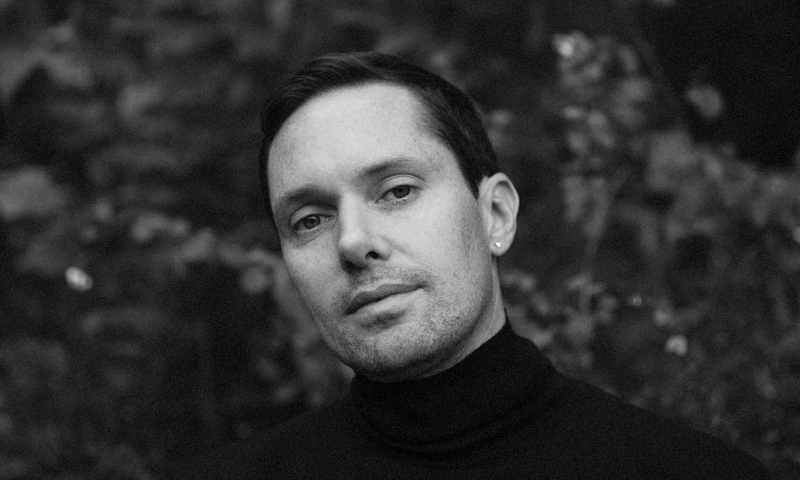 A lot of people probably don’t know that Rhye and Milosh are the same person and you were very secret about your personality in the beginning. So how many people at your shows were surprised that you are a man? I think, a lot. People are still surprised. When I first started playing, I think there was a lot of disappointed people in the audience. You know, disappointed men, because I wasn’t a woman. But at the same time there’s a lot of people that didn’t think that, too. We’re always evolving, also when we play live. Sometimes we play in broad daylight, so everyone can see us and it’s just obvious. I guess it was also because you’re so open and vulnerable in your lyrics, the album was called Woman and there’s a woman on the cover. Yeah, I guess you could say that all that was leading people to believe I’m a woman, not just my voice. So how did you write and record Blood? Blood is a studio record. I started with drums and the piano. Everything was done in recording studios between in L.A. and New York., Toronto and Montreal. A little bit of Berlin, but not in a studio. I was really focused and knew what I wanted. I generally have the same equipment in every studio, so I get the same sound. When I record and write, I do it all in one go. I don’t have a folder of ideas. I like the idea of everything being fresh when I’m working on it. It takes a couple of days for a song. For vocals, I first mumble things. I don’t come up with the lyrics straight away, just try to do the melody first and then listen back to it and see what the lyrics could be. What is the story of this album? The story this time is basically the last two years of my life. The starting song on the album is essentially talking about breaking up with my ex and moving forward. The whole rest of the record is all about moving into the future. I talk about falling in love again. I reference the idea that I had to buy out a record contract to be able to do this second record, that’s kind of what “Phoenix” is about. A lot about falling in love and engaging in a new relationship that can be intimate. Your lyrics sound very personal, are some of them also fictional? No, they’re not fictional. Everything is about what happens in my life, I never write fiction. That’s the one thing I’m very adamant about, I never ever write anything that’s not real. Has it become more difficult now you know how big your audience is? Does it make any difference in the writing process? It doesn’t really affect me in a negative way, I don’t really think about it in a way that makes me nervous. The only thing I think about in terms of the live shows, is I really want to be able to do it live. I want to make sure it makes sense live. The idea of using live drums on every song makes sense to me because if you perform live, everything is live drums. I want to make sure there’s a union between the sound of the record and what it’s going to sound like on stage. But it didn’t make me nervous, I didn’t feel any pressure. I also made the record without a record label, so I didn’t have any pressure of a label. I made it on my own and then we started showing it to the labels. Blood sounds a lot groovier than Woman. Is that because you thought a lot about the live sound? Playing concerts, you want to have moments where people dance, sway and move their bodies. Playing live for four years, I naturally gravitated towards putting a little more groove on the record. I also think the way I play live drums is a bit more dancy and inherently has more groove, programmed drums are a little more intellectual in a way. On the covers for Blood and the singles, there is a woman again. Who is it? It’s my girlfriend. I shot all the photography for the new album over the course of a year. I did over a hundred shots in different parts of the planet. One is in Iceland, some of it is in Big Sur, California. I didn’t want it to be a model, I wanted it to be connected to my real life. So it’s not the same as on Woman? No, that one is a model and that always bothered me. When I was with Polydor, I had to use a model and I always felt frustration around that. Can you explain why you called it Blood? I mean, blood is about what runs through our veins, it’s about life, it’s about caring. The past is in your blood, it’s about genetics, it’s about love, your heart. We use that analogy all the time because we feel things with our heart. I just realized after I made the record that I had referenced the word a lot. So it kind of made sense to call it Blood. Did you purposefully place it where blood flows on the cover? Since you didn’t mention it, I guess it’s not intentional. Not where we put the word Blood, but I mean it’s very interesting. This is a very feminine record and women go through cycles every month. There’s a lot of connection with the feminine on this record, even though it’s me singing and I’m a guy. I relate to the person I’m with and so I’m also part of the cycle. You’re affected by the moods and everything, there’s a connection. Would you describe yourself as feminist, although the term has been stressed recently? I mean, it’s more ambiguous now, but I would consider myself more feminine than I am overly-masculine. Where you ever confronted with guys who felt kind of attacked by your openness? (laughs) No, I never had that experience. I hope I’ll never have that experience. Everyone’s been really nice to me in general about what I’ve done and I think since the music is so soft it attracts people who are more open. It would be kind of weird if someone was mad at me for being gentle. That sounds great. Woman, Blood — what comes next? I don’t know. I don’t do concept records, so I don’t come up with the idea first. I just try to stay very connected to my intution and what goes on in my life. So I just have to see what happens in the next two years to know where the record goes.